As we chatted, I felt as if I were conversing with an old friend, she had a way of making you feel at ease. As we age, we realize that music remains important to us; it actually punctuates the good, and bad times in our lives. I grew up in the Motor City, Detroit, during the 60’s and 70’s right at the height of the sound that changed America, the Motown era. When I hear just one note of any Temptations hit, I am immediately transported to sweltering summer days. I am flooded with memories of my siblings and I sipping on grape and orange pop, sitting on our front porch listening to the skipped sounds that a 45 was making on the record player because it had been played too many times. 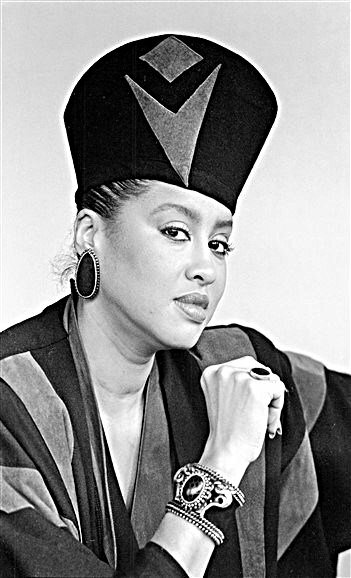 Whenever I hear the distinctive voice of the late sultry songstress, Phyllis Hyman, I am oftentimes transported to my wonderful carefree college years where I gleefully forestalled the beginnings of adult life. 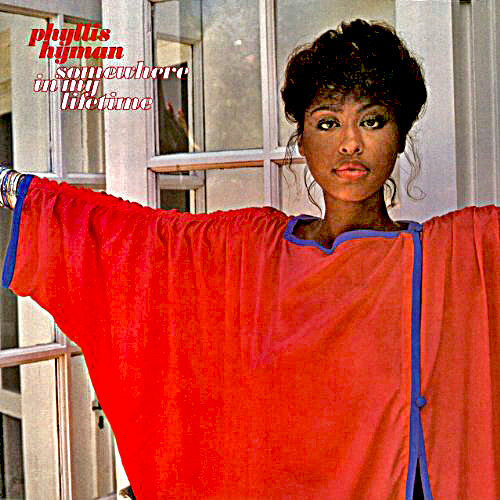 The year was 1979; I was introduced to Phyllis Hyman’s music during my sophomore year at Hampton Institute (now University). My college roommate, Veronica Jones, used to play the “Somewhere in My Lifetime” album which was also a highly requested selection on Friday nights during the popular campus radio show, “Miki’s Mellow Moments.” There were cuts on that album that would make you want to immerse yourself in total isolation, to be one with your thoughts and feelings. Cuts like Be Careful (How You Treat My Love), Lookin’ for a Lovin and of course, Somewhere in my Lifetime, a song that makes you want to wave cigarette lighters in the air. The six-foot beauty’s sumptuous voice delivered a kind of melancholy that can only come from a lifetime of hurts. Phyllis Hyman was born on July 6, 1949, in Philadelphia, Pennsylvania; she was the eldest of seven children. After high school, she performed nationally with a couple of musical tour groups and even landed an acting gig in the 1974 film Lenny. Phyllis decided to move to New York City where she was hired for background vocal work and club performances. The famed music producer Norman Connors had heard about Phyllis and went to see her perform at a Manhattan club. Impressed by Phyllis’ vocal abilities, Connors offered her a guest appearance on his 1976 album You Are My Starship. 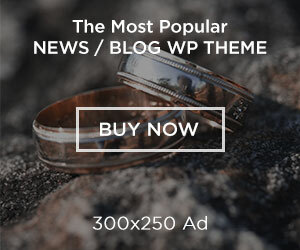 When the song received airplay, it became an instant hit. The track went gold, and Connors and Phyllis were on their way to stardom. In 1977, Buddah Records offered Phyllis a recording contract where she released her first self-titled album. The company was then bought by Arista Records under Clive Davis’ reign where she produced her first album Somewhere in my Lifetime released in 1978. The title track, produced by recording artist and label mate, Barry Manilow, became her first radio hit. The album was followed by You Know How to Love Me in 1979 that became an R&B Top 20 hit and her biggest dance anthem. In 1981, Phyllis was given a part in the spectacular Broadway show Sophisticated Ladies which was a tribute to jazz great, Duke Ellington. She shared the stage with two stellars, Gregory Hines, and Judith Jamison and was nominated for the highly coveted Tony Award. While still performing on Broadway, Phyllis ran into some contractual difficulties with Arista and had to put her recording career on pause. She used the break to work on movie soundtracks, commercials, and to perform guest vocals on the recordings of such talents as The Whispers, The Four Tops, and Chuck Mangione. Phyllis reportedly felt Arista was not doing enough by way of promotion for her and had now focused their attention on the Queen of Soul Aretha Franklin, and then newcomer, Whitney Houston. In 1986 after finally leaving Arista, Phyllis released “Living All Alone” on Philadelphia International Records, produced by the dynamic songwriting and producing duo, Kenny Gamble, and Leon Huff. The title track, a torch song of sorts became one of her most well-known songs. Phyllis continued to perform and was a darling of the NYC nightlife. She also had a cameo appearance as a musical performer in Spike Lee’s 1988 film, School Daze. As Phyllis’ career ascended, her personal life spiraled downward. She was married briefly to her musical director, Larry Alexander; the union did not produce children. 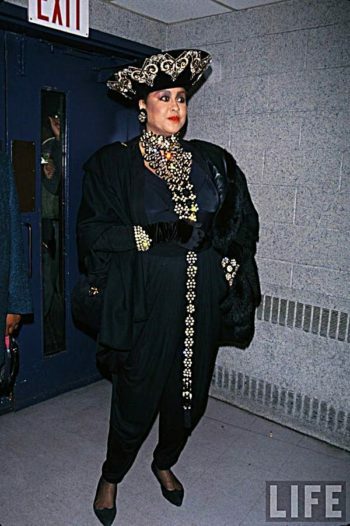 It was also well-known that Phyllis had developed addictions to alcohol, and drugs and had relationships with both men, and women, a rumor that was substantiated in the family-authorized biography “Strength of a Woman: the Phyllis Hyman Story” written by Jason A. Michael. In 1993 Phyllis was dealt two severe blows, the loss of both her mother and grandmother within one a month of each other. The losses, compounded with her narcotic/alcohol addictions weight gain, and financial woes, pushed Phyllis over the edge and struggling with chronic depression. On June 30, 1995, just a few hours before a scheduled performance at the Apollo Theater in Harlem, the performer was found unconscious in the bedroom of her Manhattan apartment. She had overdosed on the drugs pentobarbital and secobarbital. Tragically, Phyllis died just one week short of her 46th birthday. Investigators found a neatly folded note by her body that read, “I’m tired, I’m tired. Those that I love know who you are. May God bless you.” The suicide had been her second attempt at taking her own life. I had the pleasure of meeting Phyllis Hyman while working at Essence magazine in 1990. She had visited our office for an upcoming photo shoot fitting. Phyllis appeared to have a larger-than-life persona, very effervescent, and extremely approachable with looks that left you awestruck. Needless to say, she towered over half the staff! I was able to tell this amazing woman whom I so admired, just how much her music had meant to not only me but to so many of my friends. As we chatted, I felt as if I were conversing with an old friend, she had a way of making you feel at ease. 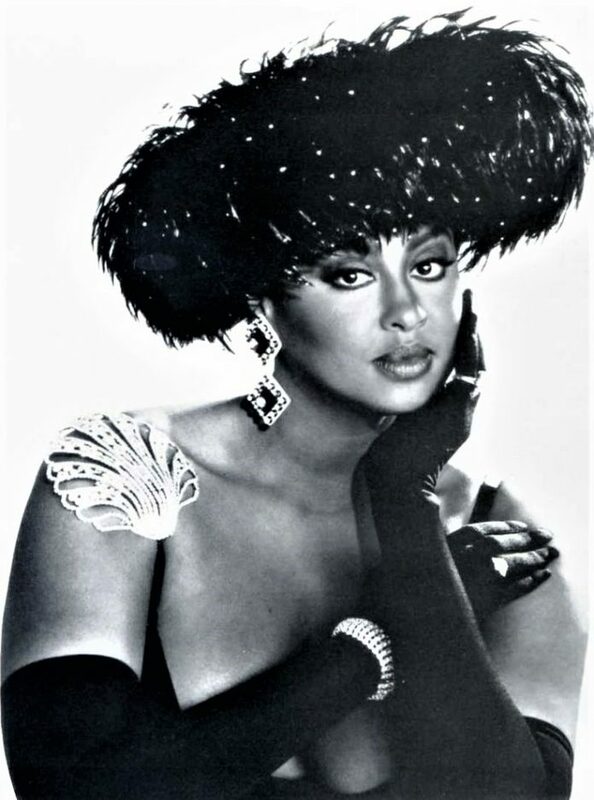 A true R&B legend in my book, the golden-throated diva was an underappreciated talent who exuded grace, and style, Phyllis Hyman was indeed the epitome of class and this is how I remember her. Previous articleReal Talk: Men over 50 don’t even think it!